Charles “Charlie” Duke was the Lunar Module Pilot for Apollo 16. 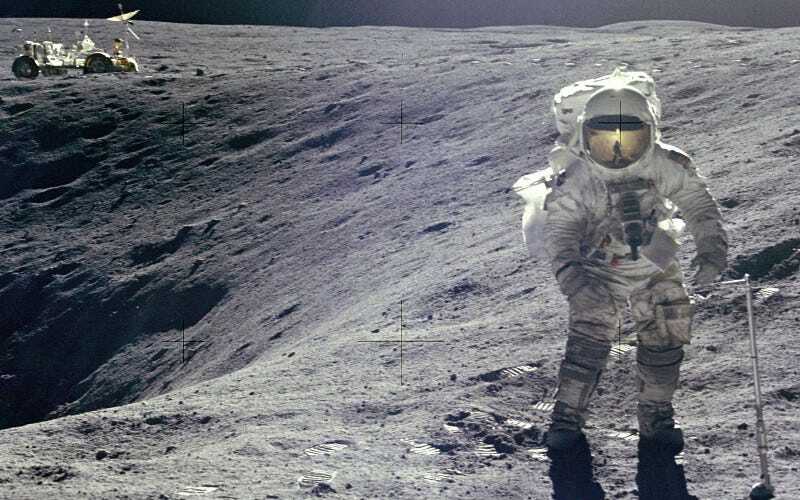 He was the tenth man and at 37 the youngest man to walk on the Moon. As backup Lunar Module Pilot for Apollo 13 he was the one who caught German measles and caused Ken Mattingly to be bumped from the mission. Mattingly ended up being the Command Module pilot on Apollo 16 along with Duke with John Young as Mission Commander.